The Texas stars aligned for one of our newer clients in Old West Austin when she came across just the right photo on the Archadeck of Austin website. She knew instantly: That’s it. I want that. This homeowner already had several amenities in her back yard including a swimming pool, outdoor kitchen and a beautiful Lueders stone patio with a rectangular fire pit. What she didn’t have was shade from the blazing afternoon sun. 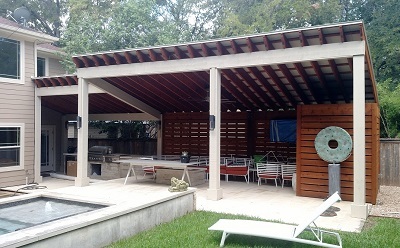 The picture she found on our website showed a covered pergola, open on two sides, with a seating area and a dining area. 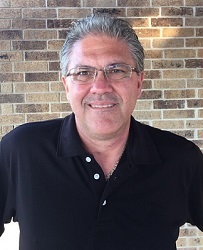 She used it as a jumping-off point — a reference point she could show our design consultant and then request some adjustments to create the perfect design for her home in Old West Austin. Specifically, she wanted the patio cover to provide solid shade but to look more like a pergola. She wanted to include a changing room for swimmers; she requested a steel roof and she wanted the whole effect to be grand. We can do grand! Grand means big, of course, in terms of the overall scale of the project. For us that means we used Glulam beams and 8×8″ posts to support the structure. Glulam beams are glue-laminated beams made of single wood layers bonded together with strong wood adhesives. These beams are stronger than steel when compared on a pound by pound basis. They’re perfect for long-span designs. Also big are the massive 2×10″ trusses we used for the pergola effect and the number and length of slats running across the trusses. This project did not use standard lumber by any means. We wrapped the Glulam beams and stained the post trim to match the color on the house. You can’t see the outside of the roof here because of the angle, but it’s a standing-seam steel roof. 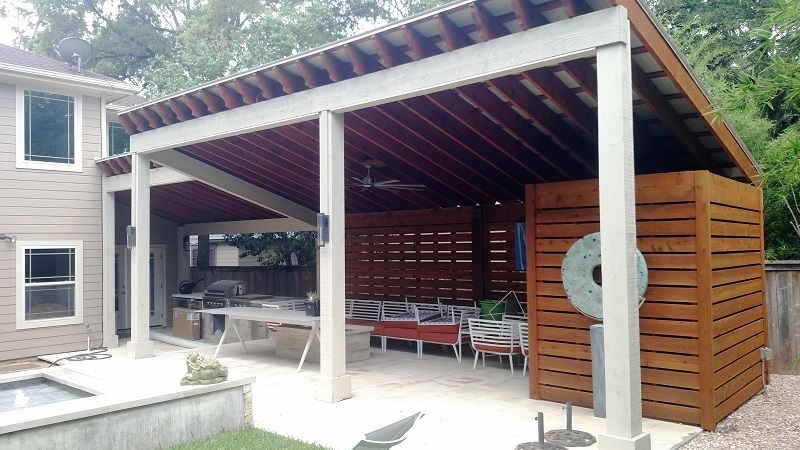 This grand covered pergola is open on three sides. We built the back wall with intentional gaps between the boards and tucked a changing room into the back corner with a sleight-of-hand design trick. Seen from the outside, the changing room wall also appears to have gaps in it, leading you to believe you can see into the room. However, on the inside of the changing room we built a facing wall with 1×6″ boards leaving no gaps. The changing room delivers total privacy. The homeowner selected attractive sconces to light the changing room and to provide illumination for night-time dining under the pergola. 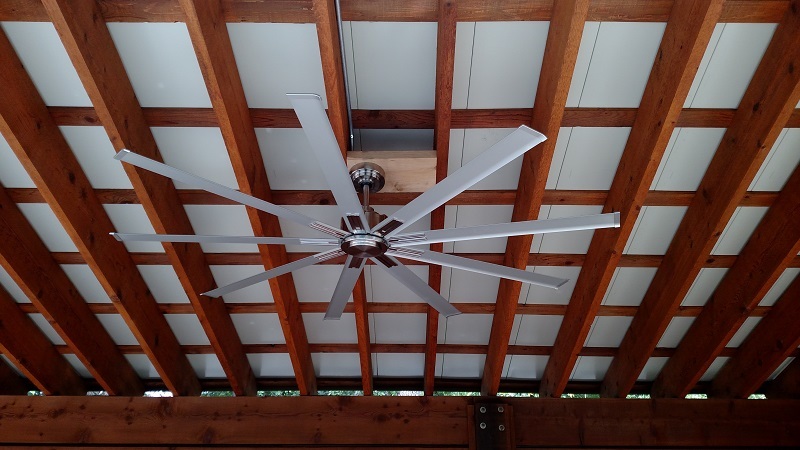 A finishing touch to the structure was the Minka ceiling fan for additional comfort in the seating and dining areas. 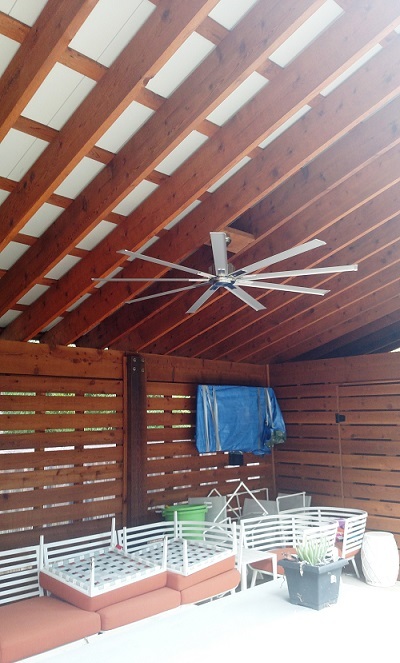 This homeowner in Old West Austin is thrilled with the results and looks forward to many afternoons outside in the shade! 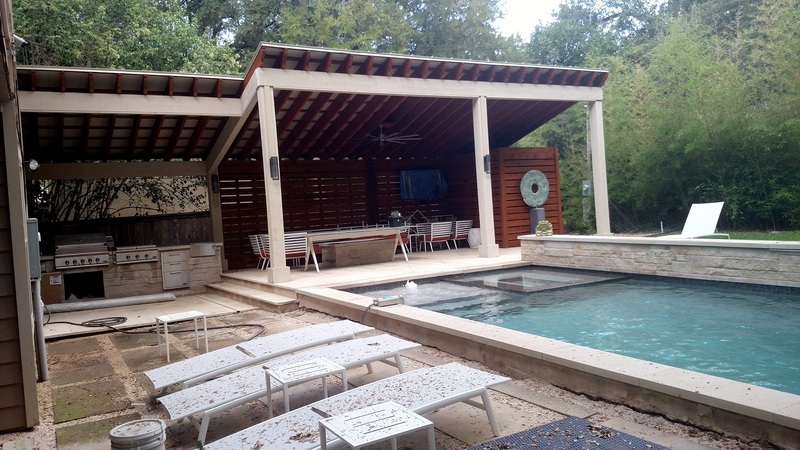 If you want to talk about ideas to create a comfortable — and possibly grand — outdoor living space at your home, contact Archadeck of Austin today at (512) 259-8282 or via email at [email protected].